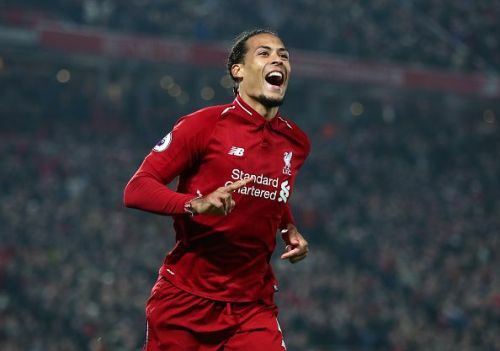 Rio Ferdinand thinks Liverpool defender Virgil Van Dijk is still not the best defender in the world. Rio Ferdinand, considered to be one of the best defenders of the Premier League era has revealed which center-back he thinks is on the top of his game at the moment, The Mirror reports. The former Manchester United ace said that Real Madrid and Spain captain Sergio Ramos is the best defender in the business at the moment and Liverpool's Virgil Van Dijk, who's had a great season so far, still has a long way to go before he can stake claim to the No.1 spot. Ferdinand claimed that Van Dijk has got the talent, but lacks the trophy cabinet to be called the best defender as of now. Ferdinand spent 12 seasons with United, having joined them in 2002 from Leeds United in a deal worth £30 million, becoming the most expensive British footballer in history at the time. He formed one of the best defensive duos of the leagues with Nemanja Vidic at the Old Trafford under Sir Alex Ferguson. The towering 6ft 2invh defender was also part of the Red Devils squad that last won the UEFA Champions League in 2008. Van Dijk has been praised a lot by the media recently given his solid performances for the Reds at the heart of their defense, but Ferdinand, a player who knows a thing or two about defending says he's not the best defender currently. “I’d still put Sergio Ramos there." “Virgil is a fantastic player, potentially the best in the world but, right now, no." “To be considered the best in the world, you have got to win stuff as well." “Ramos, when the big games come up, the trophies are there to be won, he’s normally standing there with his sleeves rolled up." “That’s why, when people talk about Player of the Year and you see they haven’t won anything but they are the best player, I am thinking: ‘How? You haven’t influenced a team to win things.’"
Liverpool have lost the top spot in the league standings to Pep Guardiola's Manchester City, but with still 8 games to go, it remains to be seen whether Klopp can end the 28-year long league title drought at the Anfield this season.